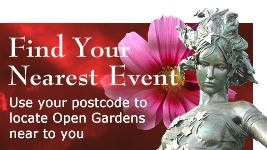 Gardens will be open in the old village up to Marlow Bridge in this popular event now in its 27th year. There will be heaps of activities for all from boat rides and tombola to creating a picture from pastels of the lovely surrounding farmland and Winter Hill. Three of the gardens are riverside, some have chickens and all are interesting and very different. 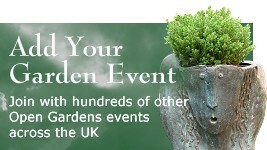 Visit a beautiful NGS Yellow Book garden with wonderful views to the spectacular Marlow Weir. Walk across Town Farm track (open for the day). BBQ lunches available (vegetarians catered for). Teas with homemade cakes and light drinks plus elderflower cordial, refreshments and ice creams will be sold in most gardens. All proceeds go to All Saints Church, Bisham. A wide range of herbs will be for sale. 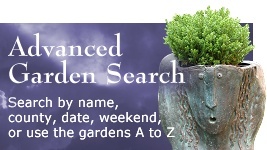 £6.00 per adult to visit all gardens, Bisham Church and the grounds of Bisham Abbey. Programme with historical notes £1.00 extra. Accompanied under 12s free, half price for 13s - 16s. Boat rides are available for an additional small donation (TBC). Tickets available on the day at All Saints Church Bisham, Bisham Abbey entrance, White Walls, Quarry Wood Road, and at other gardens along the route. Main Parking at Riverside Nurseries (browse while you are there),Temple Lane and Bisham School (next to the Church).